Aylen (7), Joe (6), Senia (5) and Brooke (4) created the questions and I edited for clarity. 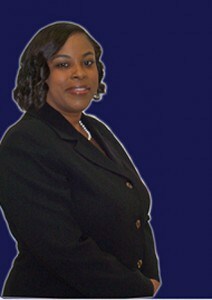 Below is the interview with Coretta Mallet-Fontenot, Candidate for HISD Trustee District IX! A school board trustee overseas the business of the district such as personnel matters, contracts, and policy development and implementation that governs the district. First, and foremost, you must have a passion for serving students in the field of education. You must file a formal application, pay a filing fee of $300, and be a resident in the district in which you are seeking to serve. I enjoy outdoor activities such as walking, bicycling, and roller skating. One of the things I enjoy about our great city is the family oriented activities for kids of all age ranges. The Children’s Museum was a favorite when my kids were younger. My favorite Houston annual event is riding around the city to enjoy Christmas lights. Everyone is so cheerful and kind during that season. Jack-O-Lantern Rice Ball for Halloween Lunches!